Tobias Buckell, a science fiction writer, and the author of Arctic Rising, a near-future science fiction thriller, experienced something that many writers have faced. He had written three books in his Xenowealth Universe – Crystal Rain, Ragamuffin, and Sly Mongoose, but book sales for the series was going in the wrong direction. 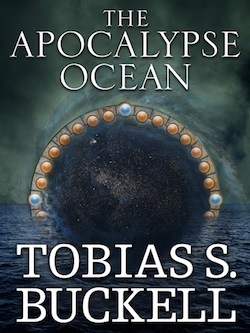 After battling some personal health issues, Buckell decided to revive the Xenowealth series (despite sales, the books had a steady and growing audience), and he decided to use Kickstarter as a way to fund and publish the fourth Xenowealth book – The Apocalypse Ocean. This week, Tobias wrote an epic explanation of how he successfully used Kickstarter to revive his Xenowealth series. Below is a short excerpt from Tobias’s epic post – read the full post. And, oh yeah, if you’re a science fiction fan or have a science fiction fan in your life, grab a copy of The Apocalypse Ocean today. You can buy it directly from Tobias, Kindle, Nook, Kobo, or iBooks. “I created a Kickstarter page. I created a video with the custom graphics Pablo had made, with me giving a brief synopsis of the novel to be, and a lot of explanation as to how Kickstarter worked (it was a little over a year ago, it was a newer concept).